Hubert Cottage was built in 1989-91 as a hunting lodge by my parents Henry and Barbara Jankowiak. Garden was designed by our friend Heinz Lange from Hanover, who gave it a lot of work and heart. Cottage has always been a place for rest for our family from the bustle of the big city where I live today with my husband and son - Warsaw. 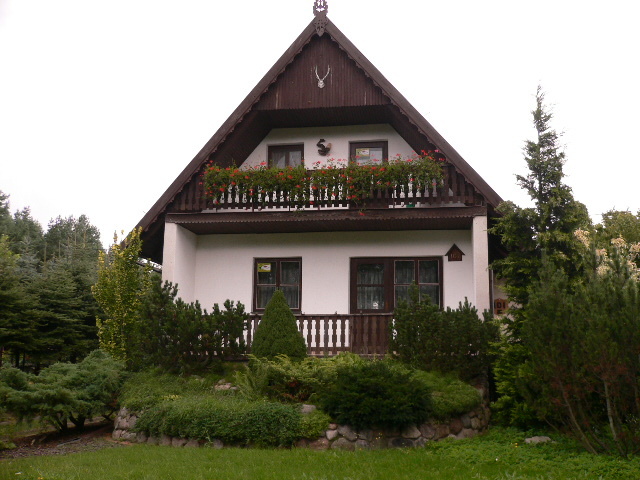 Both myself and my parents with solicitude decorated and nurtured our little summer residence. The cottage is located close to the magnificent Lake Dargin and wonderful pine forests. However, many duties do not allow us to spend in it as much time as we want, so we decided to share this charming place with others. We invite you to us, for Masuria, the land of a thousand lakes and storks.